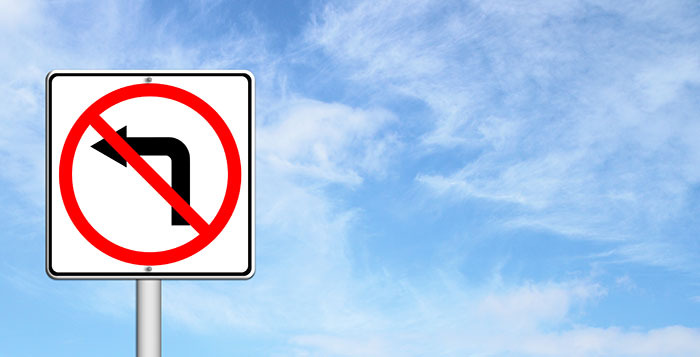 The City of Maricopa has decided to postpone plans to test new traffic restrictions on a residential intersection near Rancho El Dorado. 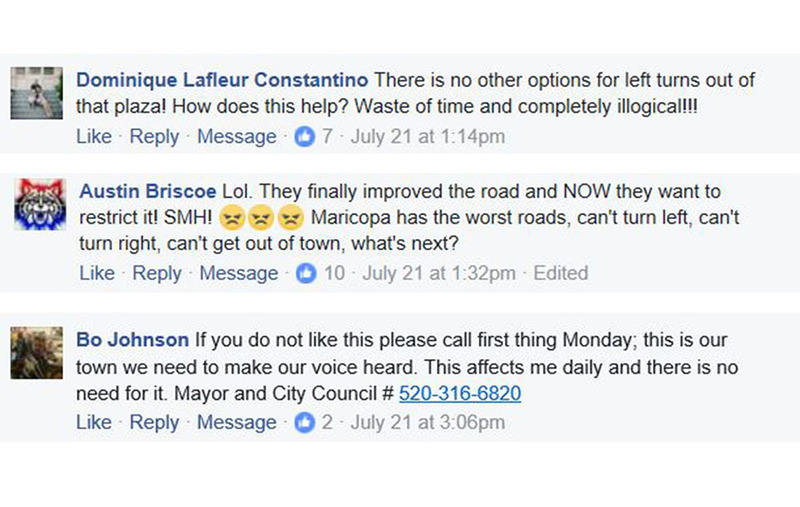 At the July 18 city council meeting, council directed city staff to go ahead with a “beta test” restricting left turns from Desert Greens drive on to Smith-Enke. However, after a considerable amount of opposition was raised on social media about the plans, city officials decided to postpone the test until the city deems it necessary. 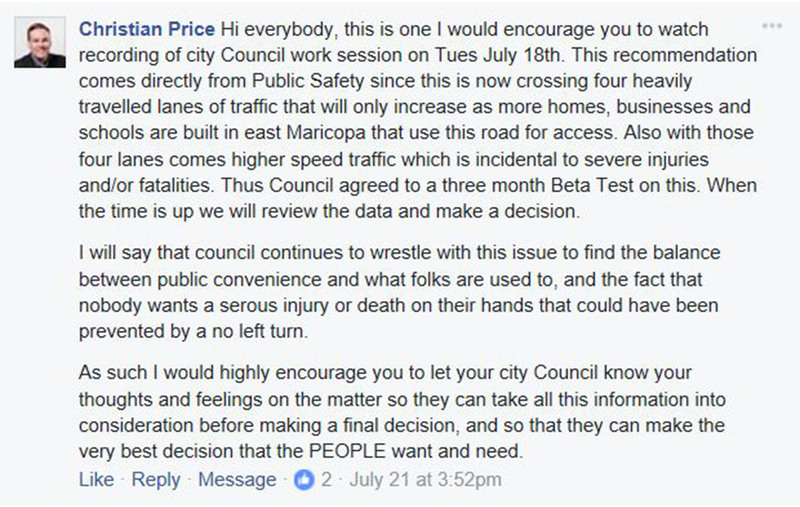 Maricopa Mayor Christian Price was quick to respond, clarifying the intent of the test period, and that the decision was based on advisement from city public safety officials. Assistant to the City Manager Jennifer Brown said in an emailed statement that after more consideration the current flow of traffic does not warrant any restrictions. However, when more development begins to occur east of the intersection and more people begin to use the road, the city may reconsider the matter. The issue with left turns from Desert Greens to Smith-Enke was initially thought to be a safety concern, but in the past 12 months only one accident has occurred at the intersection.